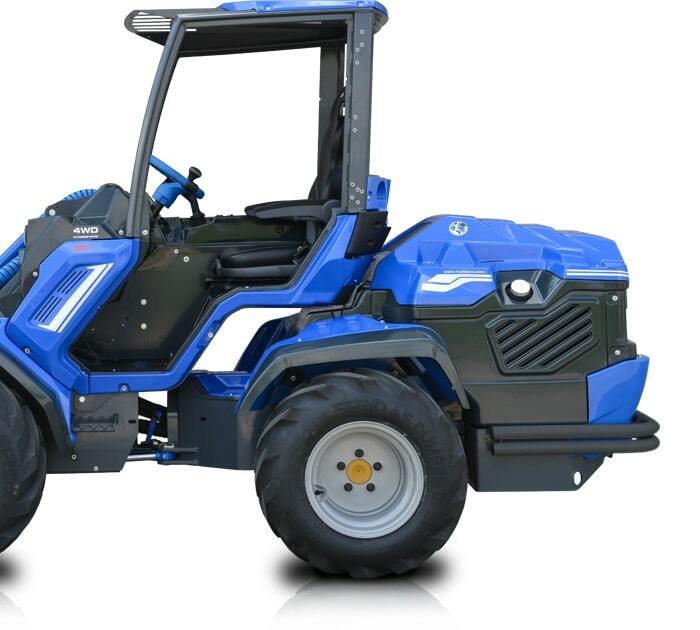 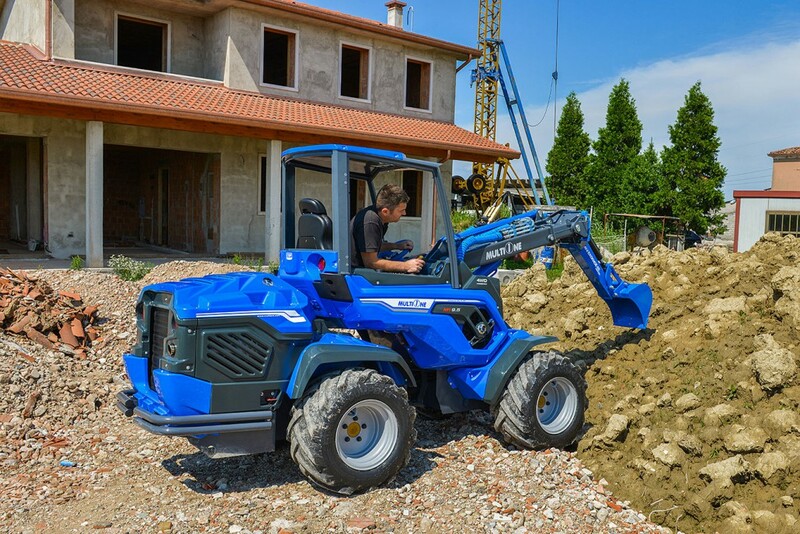 MultiOne 9 series is the best articulated mini loader on the market in term of best lift capacity-weight ratio. 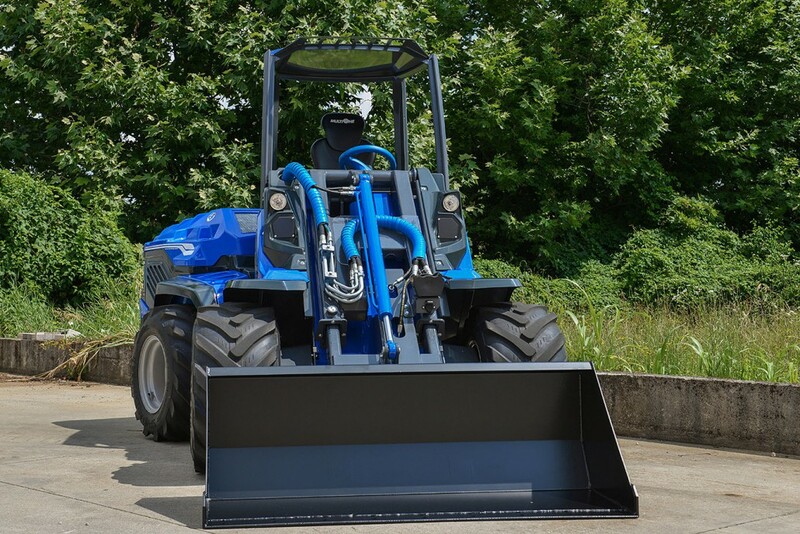 The 9 series is the evolution of the top class GT series: the new series continues to impress with a brand new architecture and design making it the only compact mini loader in its class to achieve the performance and standards in a very competitive and cost effective packagage. 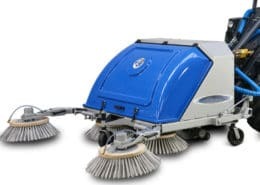 The 9 Series offers superb value for money to the customer looking for all the benefits of a compact yet powerful package. 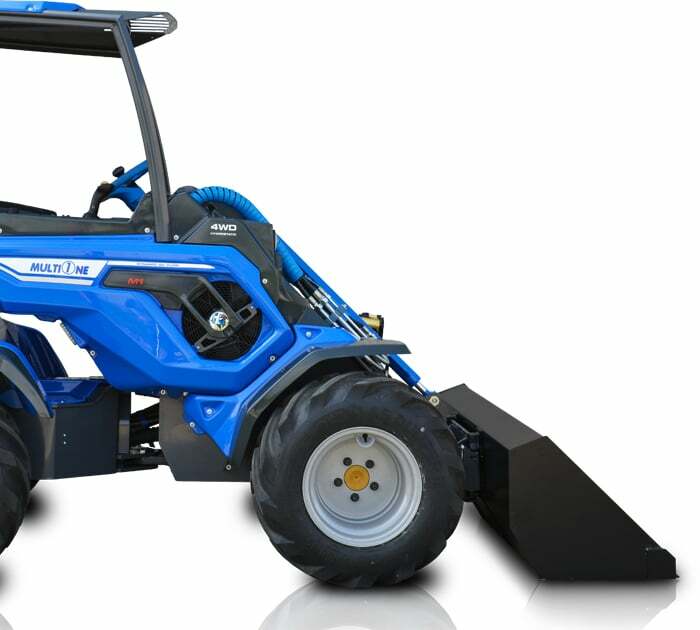 MultiOne mini loaders come at a competitive price without sacrificing power and quality. 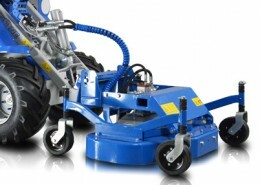 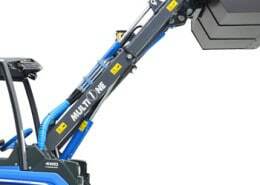 These machines are perfectly suited for more demanding jobs requiring high lifting power and pushing force. 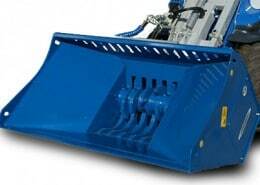 (*) It’s the maximum load that can be lifted just off the ground when the machine is straight, with backweights and on firm, level ground. 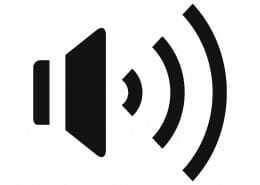 Boom not extended. 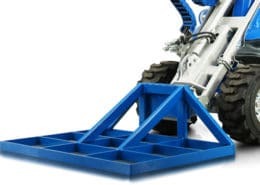 Weight of attachment included, the tipping load is the value indicated minus the weight of the attachment. 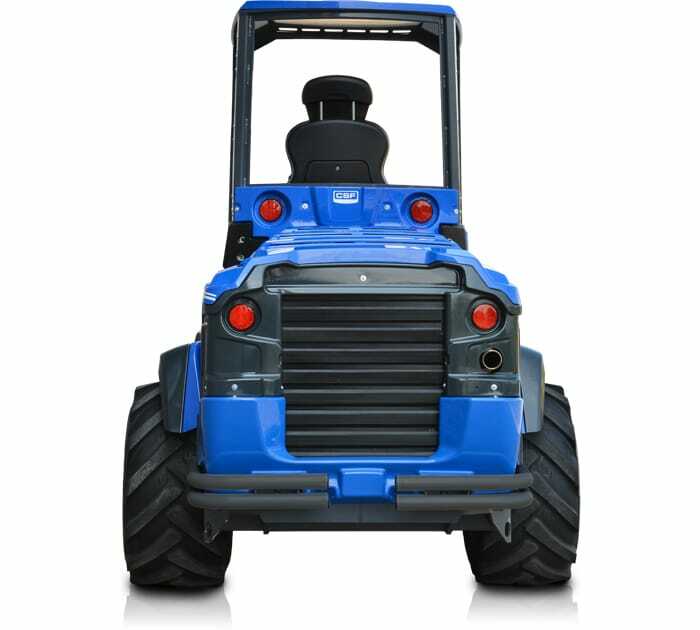 3 aux working led lights "Hella"
It acts on all four wheels simultaneously to attain maximum performance. 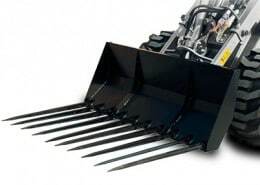 Traction even on impossible grounds with mud or snow. 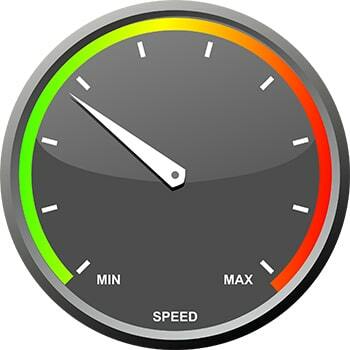 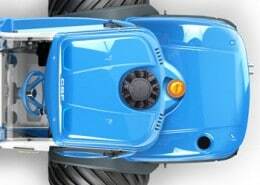 It is a device that operates as a differential. 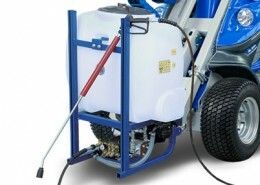 When active, the vehicle, when steering, leaves no trace on the ground (ideal for green care). 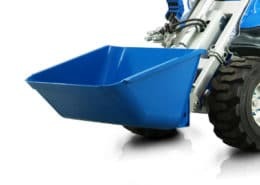 Particularly suitable for use on uneven surfaces. 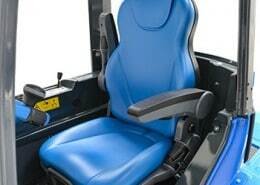 Ergonomic seat with armrests and adjustable position assures high comfort for the operator. 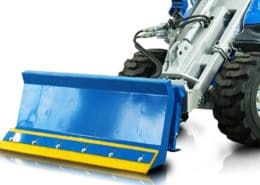 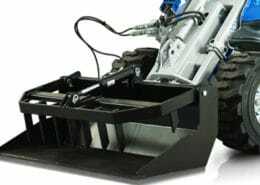 It is a innovative coupling system for front attachments that allow the connection of the hydraulic lines in a few seconds without stress. 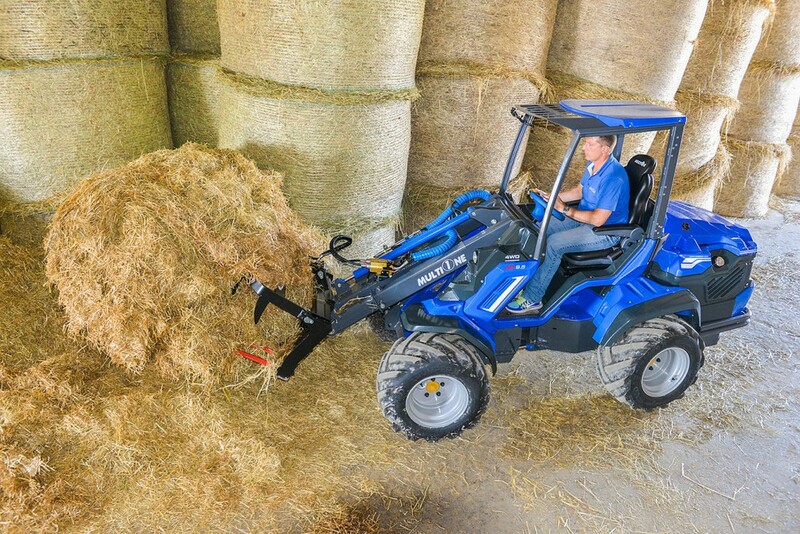 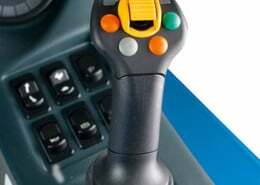 The 11-function electronic joystick allows an easy and precise control of the boom and attachments. 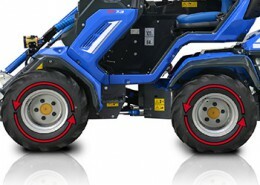 Multiple Disc Brakes spring loaded and hydraulically released. 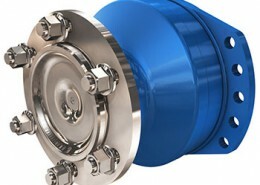 High performance, high torque cam-lobe radial-piston hydraulic motors. 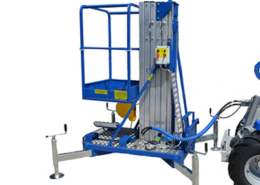 This structure is tested and certified in accordance with ISO 3449 and protects the operator against falling objects. 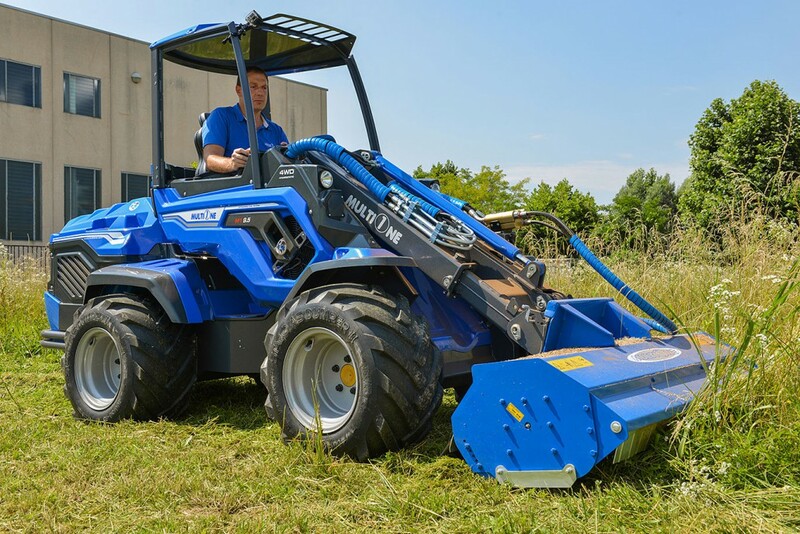 In some countries and for some works the FOPS may be mandatory. 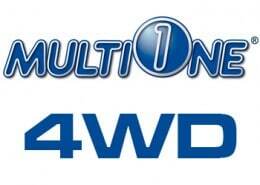 Please consult your local Multione distributor. 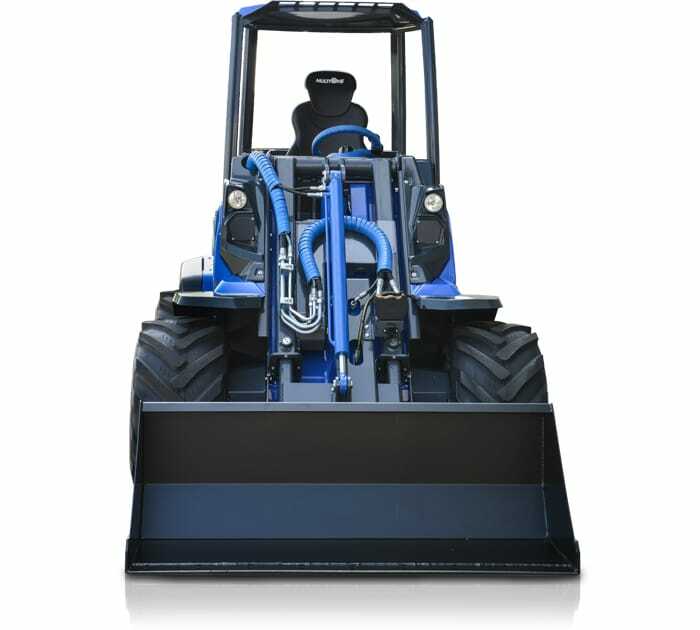 It conveys extreme strength and high visibility of the load, allowing for a greater lifting capacity. 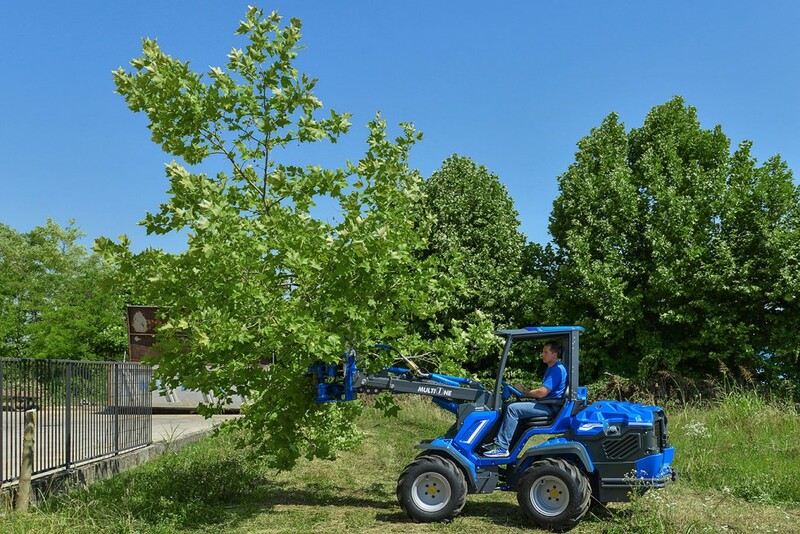 thanks to the self-levelling, it is ideal for lifting heavy loads since it keeps the load leveled to the ground, preventing the operator from continuously correcting the position with the joystick. 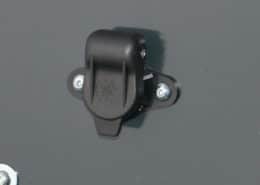 12 Volt rear electric socket to connect the attachments. 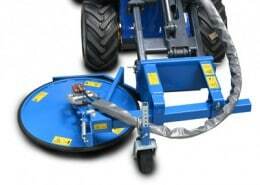 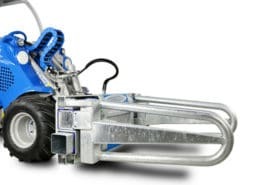 The tie down brackets mounted on wheel hub makes easier to tie down the machine on a trailer. 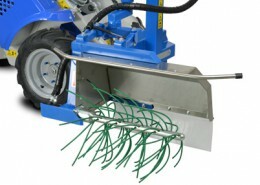 Spacers are used to make the machine wider and increase its stability. 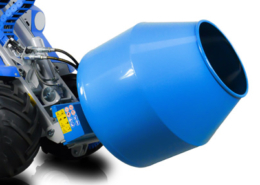 It is an ideal device for cold temperatures. 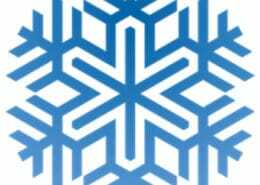 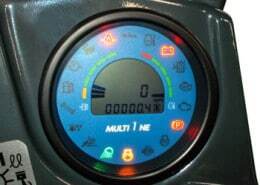 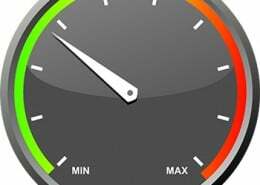 The system keeps the engine at an optimal temperature for easy starting with very cold climates. 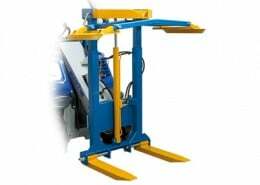 Backweights are used to increase the lifting capacity of the machine. 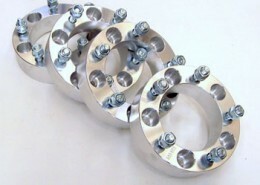 They are to be mounted on the rear of the machine. 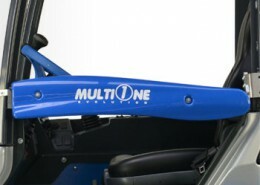 It help keep everyone safer during MultiOne machine operation. 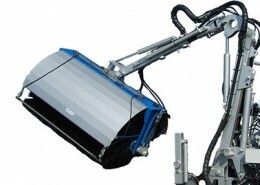 On the automatic attachment plate the locking pins move hydraulically and are operated from cockpit. 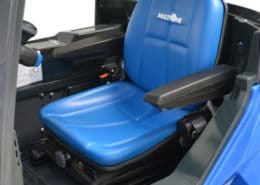 This way the driver can stay on the seat when coupling and disconnecting non-hydraulic attachments. 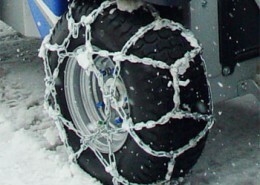 MultiOne snow chains improve traction on snow. 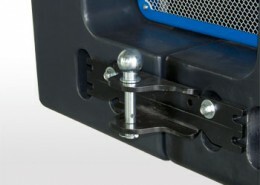 Rear tow hook with double connection: with tow ball (car type) or tow pin (agricultural type). 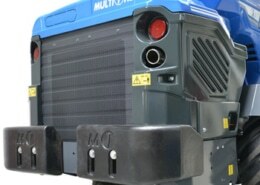 Three-way heating with adjustable air flows and temperature. 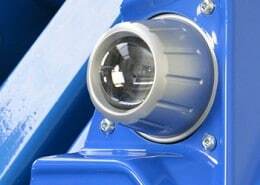 Beacon light ensures more visibility and safety. 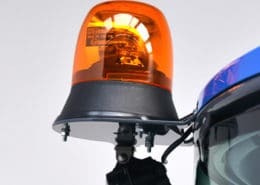 3 auxiliary working LED lights made by Hella for more visibility. 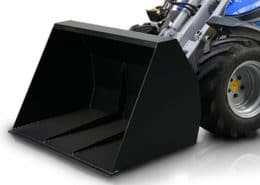 Covers the machine interior, protects against rain, snow, etc. 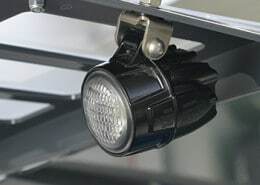 LED road lights (front and rear) to illuminate the road, turning light, beacon, mirrors. 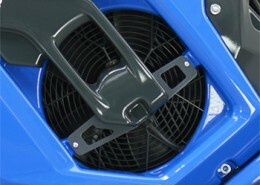 Air conditioning system from the roof of the cabin, with adjustable fan speed and electronic temperature control. 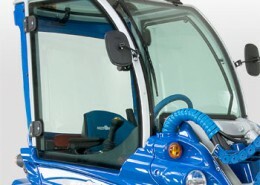 Wide air outlets create a very comfortable ventilation system inside the cabin. 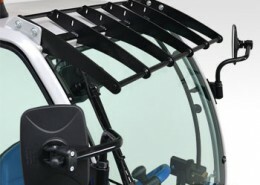 A side-protection bar that has been certified and awarded as a techincal safety innovating system. 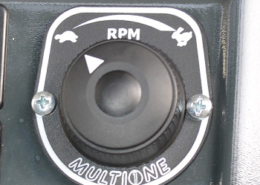 It is placed on the left side of the machine to protect the operator from falling out of the vehicle. 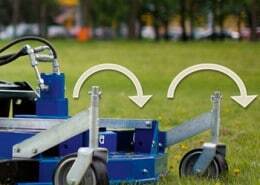 It can be locked and unlocked very quickly thanks to a special mechanism. 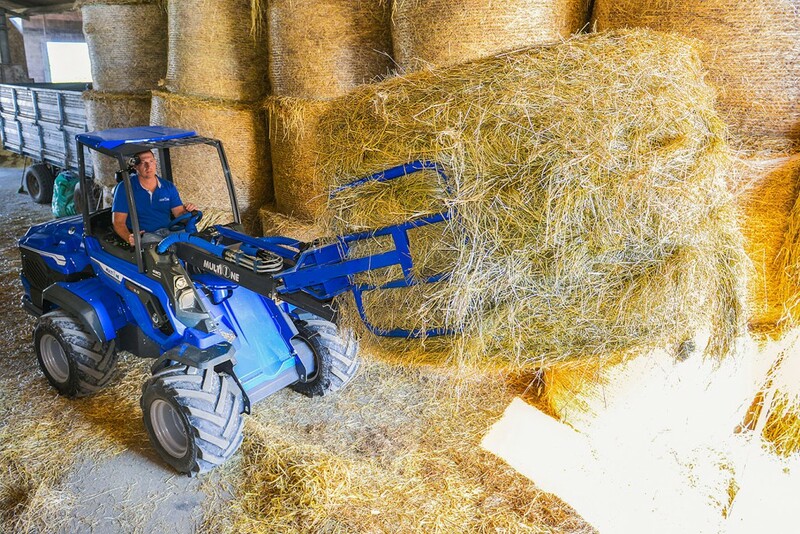 The most competitive solution for the operator who wants to improve working conditions thanks to a light cabin which limits the discomfort created by weathering. 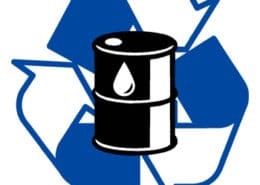 Biodegradable Oil: a eco-friendly choice. 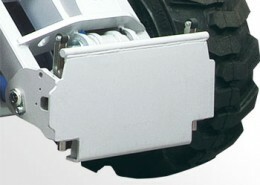 They are used to mount on the rear side attachments. 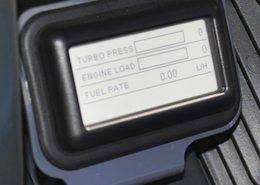 The rear outlets are controlled by the control panel. 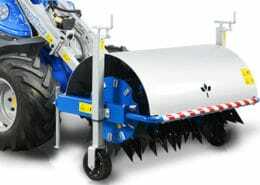 LED road lights to illuminate the road. 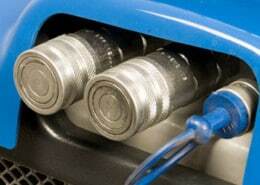 Additional hydraulic outlets (front and/or rear). 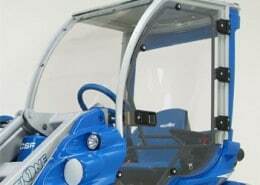 This is the best insulation system for the driver to protect him from cold, wind, rain, and snow. 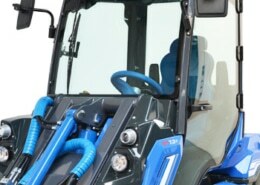 Easy access thanks to the large door and the compass glass opening. 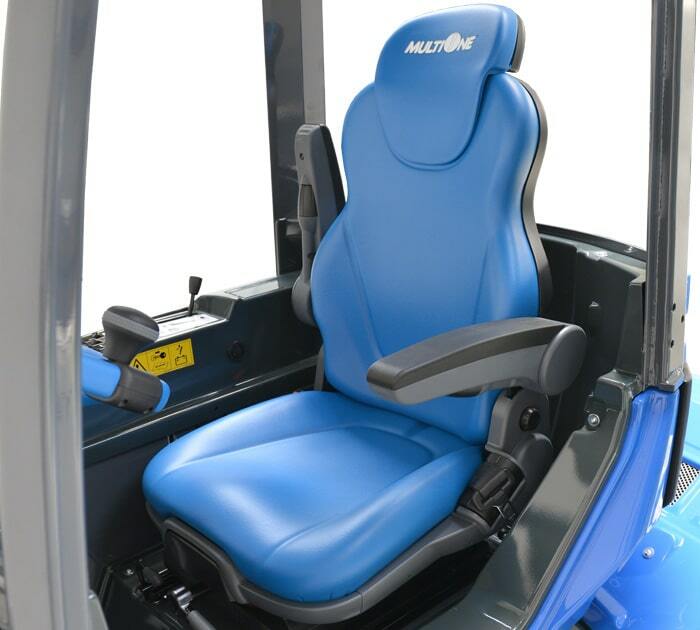 Ergonomic seat with fully adjustable suspension, safety belt and documents compartment. 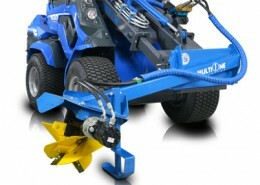 It is used to assemble attachments on the rear of the machine. 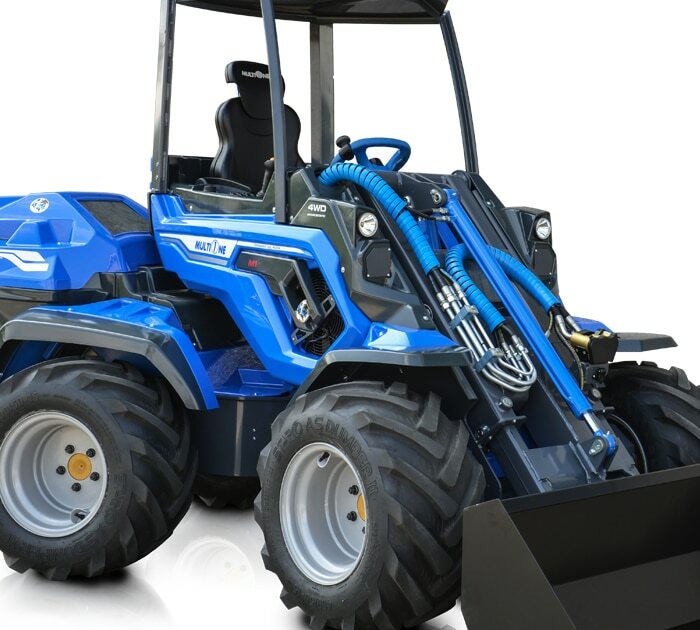 This kit allow to use attachments with old couplings (Flat-Face) on machine with multiconnector hydraulic system. 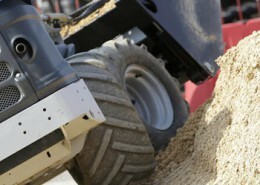 It allows the mounted attachments to follow the contours of the land perfectly. 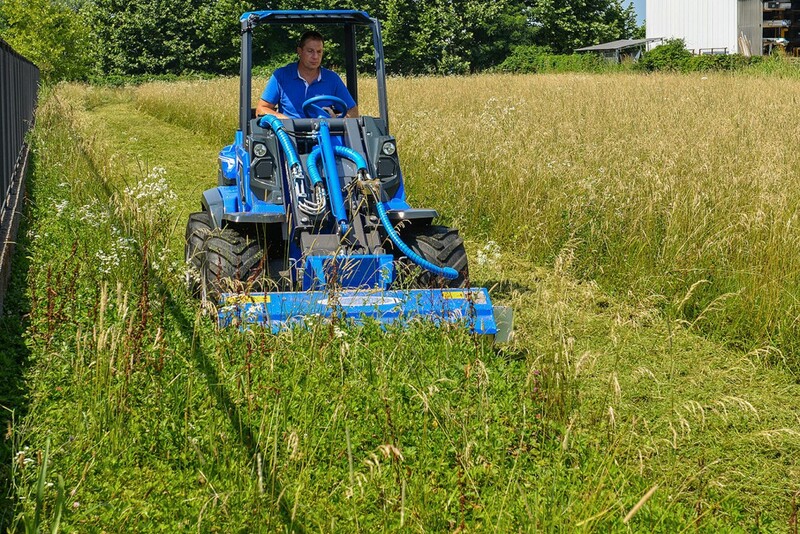 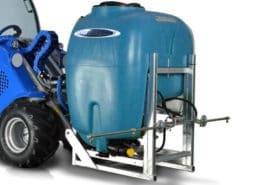 Ideal for applications in agriculture and in the care of the green areas. 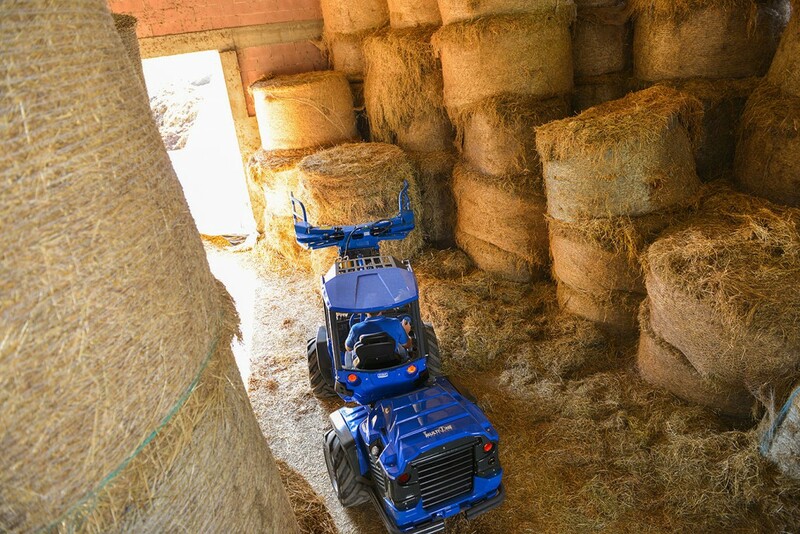 3 auxiliary working LED lights for more visibility. 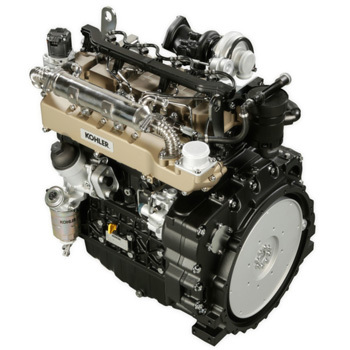 The same technology that makes the KOHLER® KDI diesel engines Tier 4 Final emission compliant is also what makes the engines a money-saving alternative for original equipment manufacturers and owners. 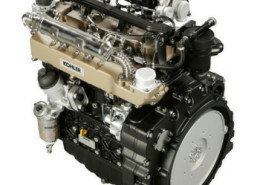 Other features of the new diesel engines include less noise and vibration making it Kohler’s quietest diesel model, as well as a heavy-duty crankcase for increased durability to extend the life of the engine.